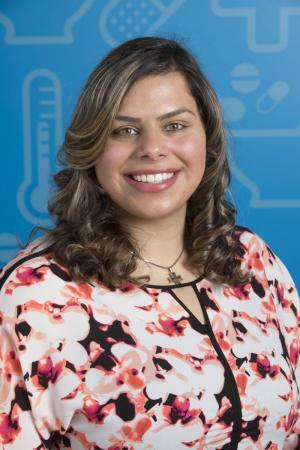 Since graduating from the University of Alberta in 2012, Gina Giurgius, Clinical Pharmacist with Calgary Co-op has been a leader in the profession of pharmacy. As a clinical pharmacist, Gina has been involved in and conducted multiple diabetes related clinics and provides smoking cessation consults. She is also involved in improving public health by promoting vaccines such as shingles, pneumonia and administering the influenza vaccine. Gina has an appetite for continuous learning and is constantly looking for ways to further her practice. She obtained her Certified Respiratory Educator designation and has since helped people adjust their COPD and /or asthma medications to maximize their therapy, improve their breathing and thus their quality of life. The accomplishments above have led to physician confidence in her abilities. This has resulted in Gina working collaboratively in the physician’s office once weekly providing diabetes and respiratory education.